The library's sources don't work very well with phrase searching. 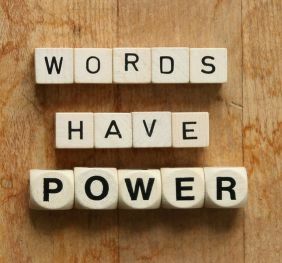 To get the best results, you need to think carefully about your topic, then choose words that will get you to the heart of the matter. Instead of: "How does bird flu spread?" Use these terms: "avian influenza" and "transmission"
Instead of: "What is the role of crime in the novel The Great Gatsby?" Use these terms: "crime" and "gatsby"
In most cases, you want to limit your search to 1-3 powerful words or terms. One important exception to this rule involves the search for biblical commentaries. See the box on the lower right for info about this challenge. One of the keys to successful searching is finding the right word or words to use for your search terms. In the box on the left, we used "avian influenza" instead of "bird flu." How did we know that one term would work better than the other? Back in the days before computers, library users would have to look for books by sifting through drawers of little cards—one card for each book. If you wanted to find books about cats, would you look in the C drawer for "cats" or in the F drawer for "felines?" In 1898, the librarians at the Library of Congress decided to do something about this problem. They devised a list of approved words, and then listed all the altern ate words that the approved words would be used for. This list grew and became standardized, and now it is used all over the English-speaking world. 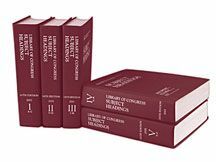 The approved words are called "subject headings" and the list is known as the Library of Congress Authorities. DBU's library owns a set of subject heading books that can be used to help library users figure out the best words to use in their searches. However, the list is also available online, and it has also been integrated into most library systems. This makes the search for and use of correct subject headings much easier. 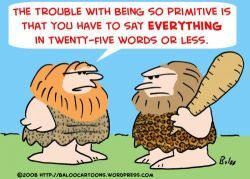 How can you search for the best words? Suppose you wanted to write a paper on the pros and cons of mercy killing. You might use "mercy killing" as your search term. Or should you use "right to die?" Rather than spend all afternoon coming up with synonyms, you can let those smart, government-paid librarians do the work for you. 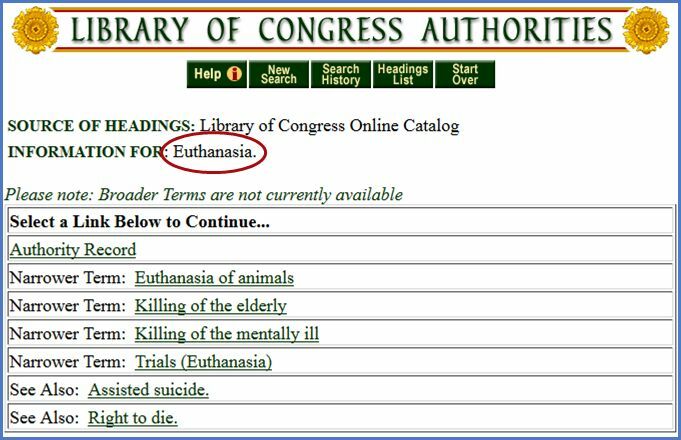 If you click on through the links, eventually you will see a list of other terms that the word "euthanasia" should be used for, including assisted death, mercy killing, and right to die. Does this seem like a lot of work? There's another, easier way to do this, but it might not be so precise. Using the library's catalog, submit a keyword search for "mercy killing." If you see a book in the results list that looks appropriate, click on the title to open the record, then scroll down. Near the bottom, you will see a list of "Related Subjects." Click on "Euthanasia" to view the list of all the books we have on that subject. Scroll down to the third box. Once the Academic Search Complete screen displays, click "Subject Terms" in the blue bar at the top. Type <mercy killing> in the "Browsing" box (not the Search box). Select the "Relevancy Ranked" button, then click Search. You will see "Mercy Killing—USE EUTHANASIA"
At that point, you can make a note of the word, then use it to search the catalog. Or you can click on the word EUTHANASIA to see a list of related words and terms. Using the library catalog to find biblical commentaries can sometimes be an exercise in frustration! If you're studying a book of the Bible that has a unique or unusual name, such as Leviticus or Ecclesiastes or 1 Thessalonians, you won't have trouble. Just use the book's name and the word "commentaries" as your search terms. But if you need commentaries on the gospels—Matthew, Mark, Luke, or John—or on the books of Jeremiah or Isaiah or Samuel, then you're going to run into trouble. Why? Because those aren't just biblical books; they're also people's names. 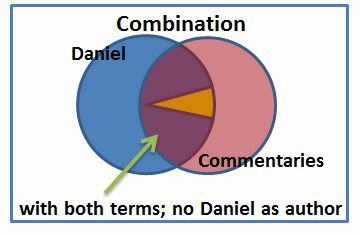 A search for "john" and "commentaries" will find commentaries on the Gospel of John, for sure, but it will also find commentaries on other books, written by people named John. The same thing is true with the books of the Bible that have names that could be used in other contexts. Some examples are "Genesis," "Numbers," "Proverbs," "Acts," "Hebrews," and "Revelation." So what should you do? Use Advanced Search. Try adding a reference to the Bible location—Old Testament or New Testament. That will help with the words that have other uses. For the books of the Bible that have names as their titles, try changing from Keyword to Title for that word. Again, you'll need to use the Advanced Search feature. What if your professor has given you a list of approved commentary series or brands? The best thing to do is visit the library and talk to a reference librarian. We have years of experience in helping students with this type of assignment, and we can help you, too! OR - Use OR when you want to find lots of results on a topic, but the topic has synonyms and you're not sure which one to use. 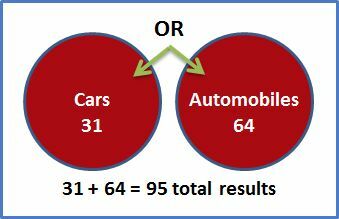 Example: if you want to find all the books on cars, but you suspect that some books might use the word "automobiles" instead, use OR to search for both. Suppose you're researching Adlerian theory in psychology, but you are also interested in learning about its founder, Alfred Adler. You can use an OR search to look for books on both topics. Putting parentheses around your terms (called "nesting") will keep the words in those concepts together. AND - Use AND when you want to find books that cover two or more topics and how they relate to each other. 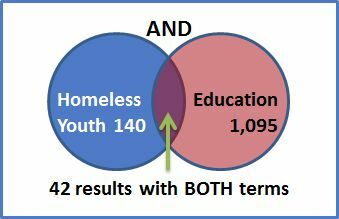 Example: if you want to find books about the problems of educating homeless teenagers, use AND to find only the books that address both education and homeless youth. NOT - Use NOT when you find results that don't apply to your topic. 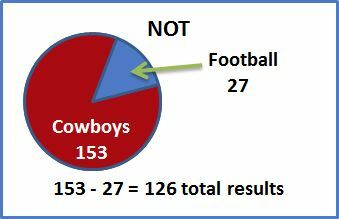 Example: if you want to study cowboys in the Old West, but you keep getting results about the Dallas Cowboys football team, use NOT to eliminate the sports books. * - Use the * sign to search for all variations of a word. If you want to find information about teenagers, what term should you use? Teens? Teenagers? Adolescents? If you want to learn about the effect of alcohol on teens, do you use alcohol or alcoholism? Or alcoholics? Putting the * sign at the end of the root word allows the system to find all variants of that word. Using * to substitute for letters is known as "truncation." WARNING! The use of these magic words cannot be taken lightly! They are powerful, and they can get you into trouble if you're not careful. If you need help, ASK A LIBRARIAN! They are wizards at creating great search strategies.